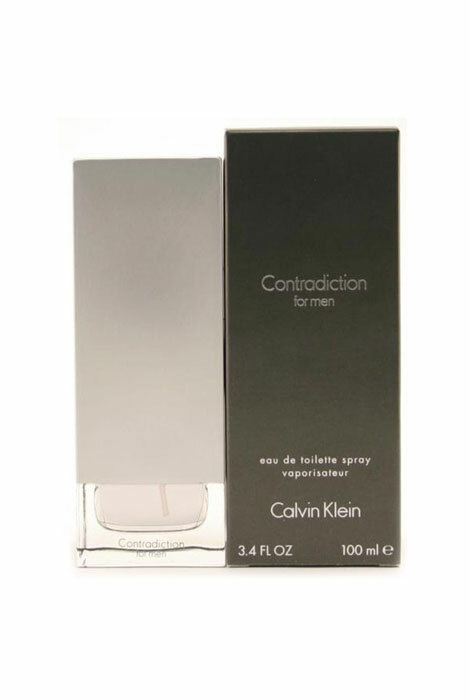 Contradiction for men by Calvin Klein is a modern, masculine fragrance for men. This fresh, woodsy men's fragrance is pleasant, yet subtle enough not to overwhelm the senses. Features top notes of lime, tangerine, lavender and clary sage, middle notes of coriander, pepper, nutmeg and cardamom and base notes of vetiver, musk, black gold and sandalwood. An EDT spray. 3.4 fl. oz. No express shipping. No shipping to PO boxes.